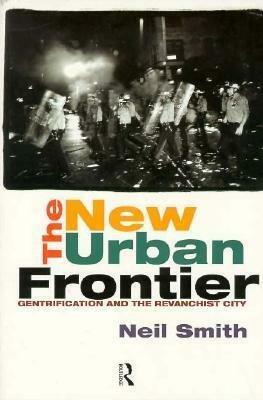 Radical scholars have been remembering their friend, teacher and comrade Neil Smith this week. The good people at Environment and Planning D: Society and Space have pulled together a superb set of Neil’s papers; there are obituaries from Neil’s alma mater, publisher and colleagues, among many, many others (see here and here); and we’ve even enjoyed his singing, thanks to the Centre for Place, Culture and Politics. From our 40th anniversary special issue, The Point is to Change It, Neil offered a brilliantly dialectical essay – ‘The Revolutionary Imperative’ – on revolution (what else from geography’s revolutionist-in-chief?! ), neither burying his head in the sands about its possibility nor letting it float in the clouds about its difficulty. In our time of “dead yet still dominant” (p. 56) neoliberalism, there’s a world to win; capitalism is unravelling at the seams and the Left – for too long, perhaps, rather dishevelled – needs to pull itself together: “Revolution may, as C.L.R. James suggests, come like a thief in the night, but if there is going to be a heist on capitalism, the thief needs to come with a few tools. Some tools are intellectual ideas; others are tools of the imagination about other possible worlds; still others are our human bodies, but most importantly they are social and political organisation for a more humane future. Or as Goethe put it, ‘one earns one’s freedom and life when one takes them everyday by storm’…” (p. 64). This capacity to think both sides of the question simultaneously is displayed again in Neil’s afterword to a special issue on ‘Professional Geography and the Corporatisation of the University’ (‘Who Rules This Sausage Factory?’) where he put a keen materialist mind to work thinking about the politics of the academy. In what is, to be sure, a defence of the university in neoliberal times, Neil reminds us that “…specific disciplines, departments and universities are only as worthy of support as the kinds of enquiries they permit us to make. If they cease allowing us to pursue the interesting questions, they lose intellectual and political value” (p. 337-338). ‘Eyes on the prize’, as he said elsewhere. Neil was at once a ruthless critic and staunch defender of Marxism also, writing in Antipode a number of times to sketch-out its limits and argue for its continuing relevance as a living political and intellectual project. Essays like ‘What’s Left? A Lot’s Left’ and ‘Dangers of the Empirical Turn: Some Comments on the CURS Initiative’ show some fine thinking, simultaneously close to Marxism and robustly independent, navigating a knife-edge path (an image Neil conjures in both pieces) between unquestioning solidarity and wilful remoteness and contempt, clear about both its problems and its potential – even necessity. And he did all this with consummate style: whatever else his ‘Neo-Critical Geography, or, The Flat Pluralist World of Business Class’, for example, might be – forthright, intemperate, certainly controversial – its jargon-free, passionate language and well chosen metaphors cannot but win admiration. Antipode re-printed not one but two papers by Neil in its 1985 ‘best of’ special issue. 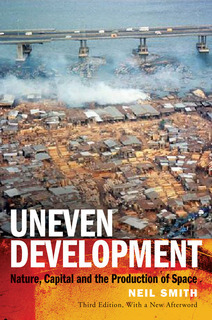 ‘Geography, Marx and the Concept of Nature’ (with Phil O’Keefe) presents early reflections on themes central to Neil’s Uneven Development: Nature, Capital, and the Production of Space (Blackwell, 1984 and 1990; University of Georgia Press, 2008; Verso, 2010 – available online at http://neil-smith.net/uneven-development), while ‘Gentrification and Capital: Practice and Ideology in Society Hill’ explores themes later developed in his The New Urban Frontier: Gentrification and the Revanchist City (Routledge, 1996). And these themes are revisited in Neil’s contribution to our 2002 special issue, ‘Spaces of Neoliberalism’ edited by Neil Brenner and Nik Theodore; ‘New Globalism, New Urbanism: Gentrification as Global Urban Strategy’ continues to be one of Antipode’s most downloaded articles: only three other papers were downloaded more times in 2011. 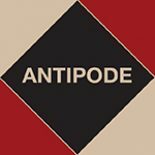 Antipode links to a number of pieces by Neil Smith – lots of good things to read here. Let’s do a special edition of Antipode for Neil. I’m sure it would later sell as a book in its own right. 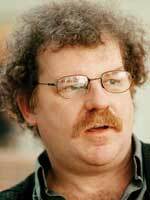 Brilliant essay by Don Mitchell – ‘Neil Smith, 1954-2012: Radical Geography, Marxist Geographer, Revolutionary Geographer‘. Thanks to Stuart Elden for the link. This entry was posted on 5 October 2012 by Antipode Editorial Office in Other and tagged gentrification, globalisation, Marxism, Neil Smith, neo-critical geography, neoliberalism, rent gap, revolution, sausage factory, the production of nature, the university, uneven development, urbanisation.